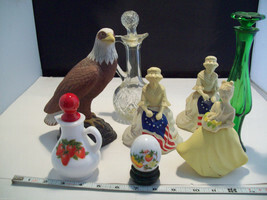 Here is a large collection of 8 pieces of Avon produced items. 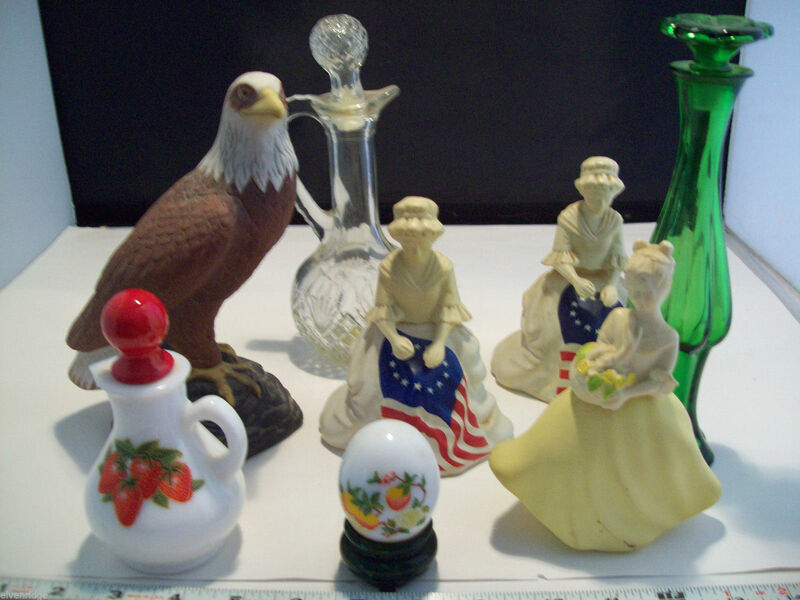 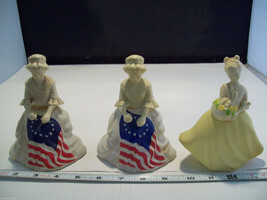 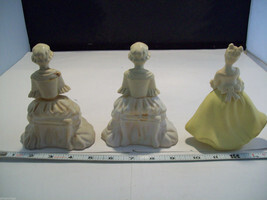 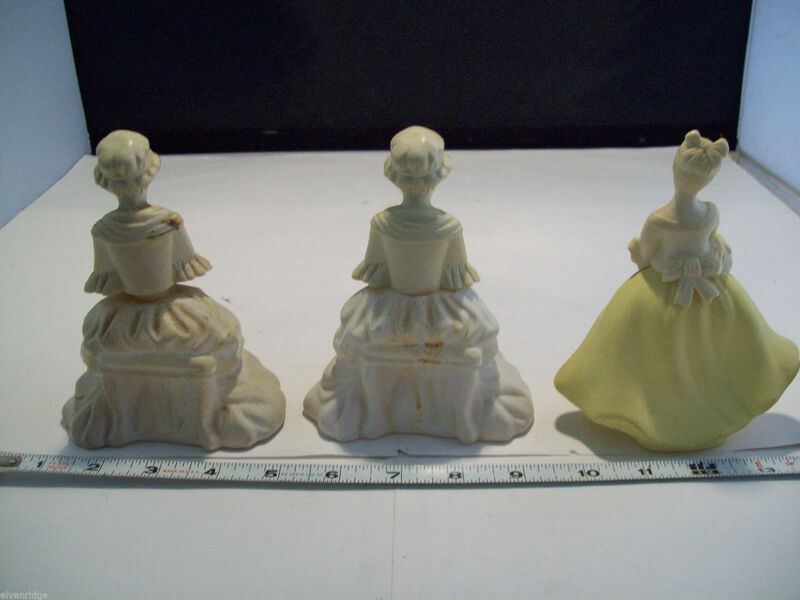 2-3) 2 Betsy Ross Avon figurines which held Sonnet Cologne. 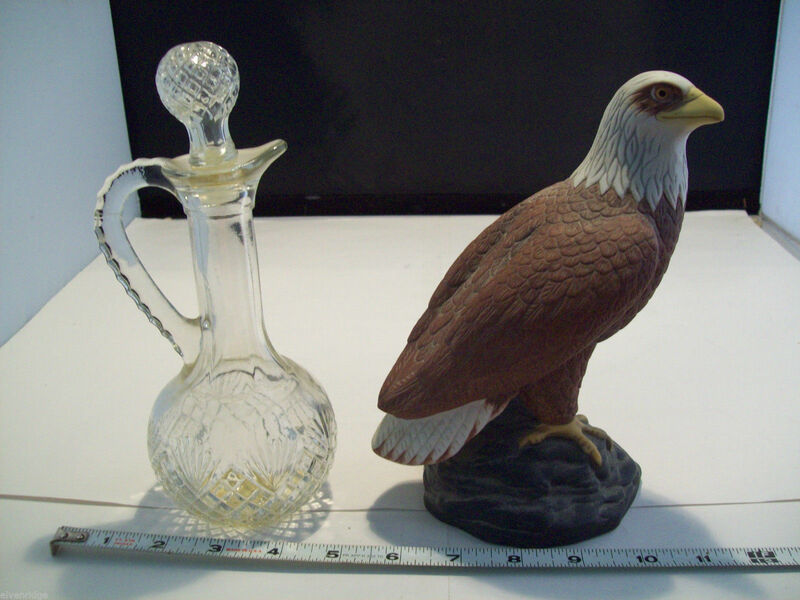 1 of these has some cologne still in it. So be forewarned - this lot is fragrant. 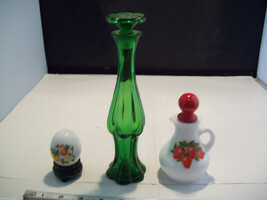 Measure 5 3/8" H x 4 3/8" L x 3 1/4" W.
4) Avon small perfume bottle with strawberry top/lid. Has cork top inside the cover. 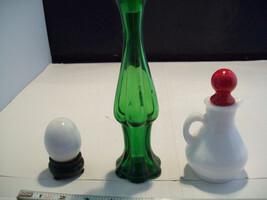 6) Green perfume bottle - has the scent of the old perfume that was in it. 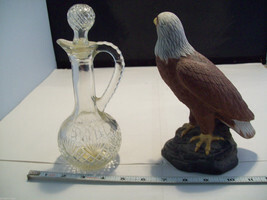 Measures 8 3/4" H x 2 3/8" L x 2 3/8" W.
7) Clear glass perfume bottle with Handle - Avon Cruet Imperial Garden Cologne Bottle. 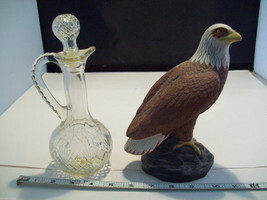 8) Lady Perfume Bottle - Avon Unforgettable Cologne - still has some cologne in it.